We are a well-reckoned Fully Auto Brick Plant RBM-30 Production Unit Manufacturer, Exporter, and Supplier in India. The Bricks Making Plant is a Fly Ash Brick Machine, which is excellent in performance and longer in working life. Our Bricks Making Plant (RBM-30) is high in demand in national as well as international markets. About the switches, we will select the France Schneider brand, Mitsubishi PLC. Automatic Stacker, controlled by 02 01 H.P. Brake motor of Havells/ABB/BBL with PBL Gear Box and 02 H.P. Electric Motor of Havells/ABB/BBL with PBL Gear Box. Controlled by MITSUBISHI AC Drives and PLC. 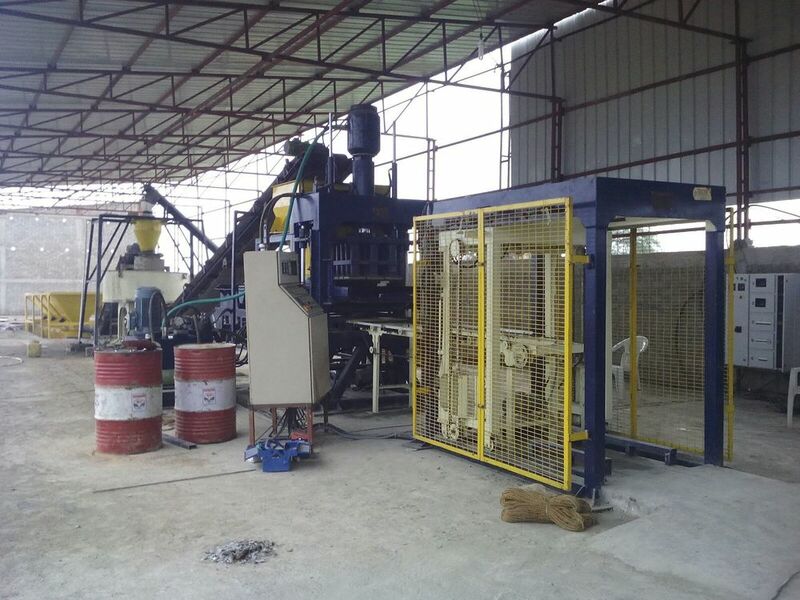 Batching Machine having 2 bins for Fly-Ash Stone dust. 2 Bins for lime and cement, Powered by 7.5 H.P. geared motor and ÃÂ½ ÃÂ½ H.P. vibrators for each bin. Weighing of the material on Belt Conveyor with the help of load cells, digital indicators and Batch Controller. Machine controlled by ARUCOM make Batcher and Mitsubishi PLC.